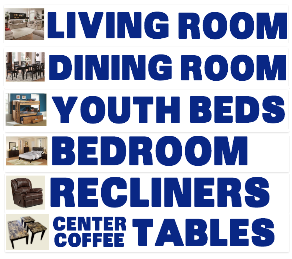 We post coupons on this page very frequently. 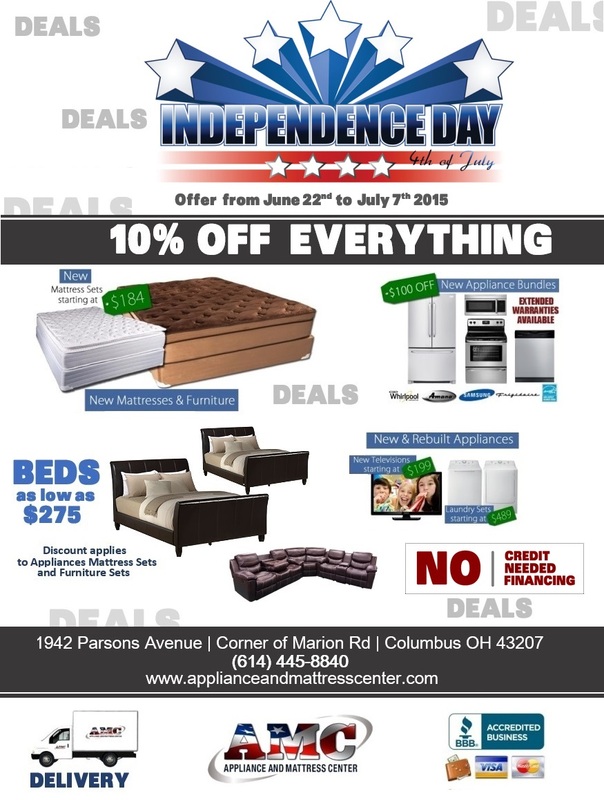 Check this page every week for the latest mattress discounts at Appliance and Mattress Center and save on mattress sets. Prior to special days like Labor Day, Mother's Day, Father's Day, Black Fridays, Thanksgiving holidays, and special seasons like Christmas, we post coupons here you can use to get discounts on mattress sets. 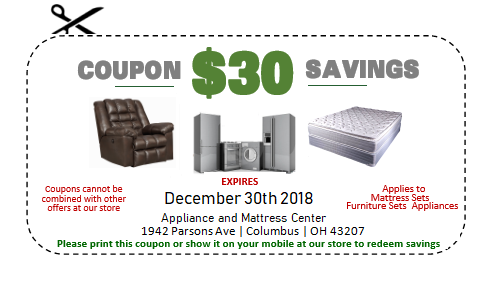 To redeem your savings, please print this coupon and bring it with you to our store located on 1941 Parsons Avenue Columbus Ohio. We are right at the corner of Marion Road. You can only apply this coupon to mattress sets; not just singles. 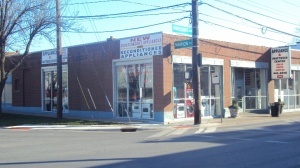 Mattress sales in Columbus starts here. Coupons will be honored on day of expiration. We reserve the right to reject expired coupons. Hurry, come over and save!